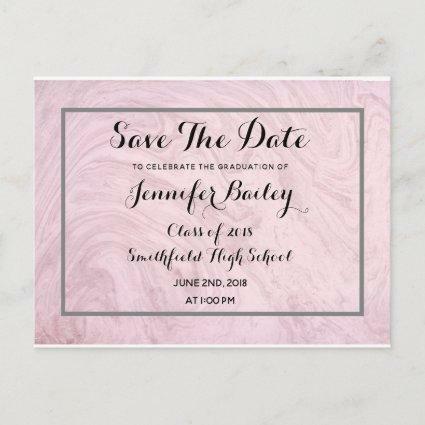 Reminds your guests with these elegant graduation party save the date postcards with rose marble design. Easily add your graduates photo to the front. 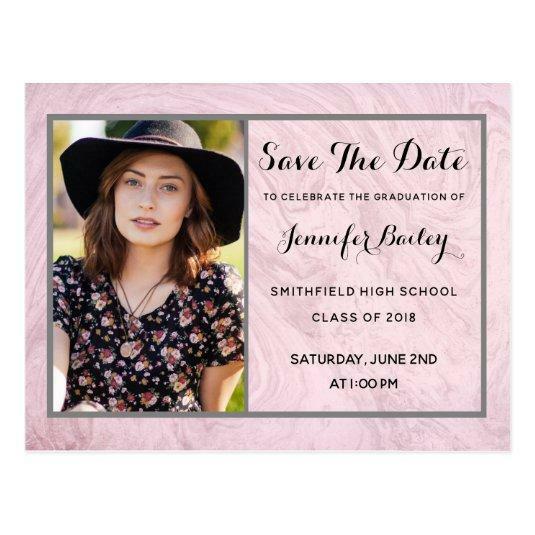 All the text for the party information is customized by you. Suitable for high school or higher educational graduations.